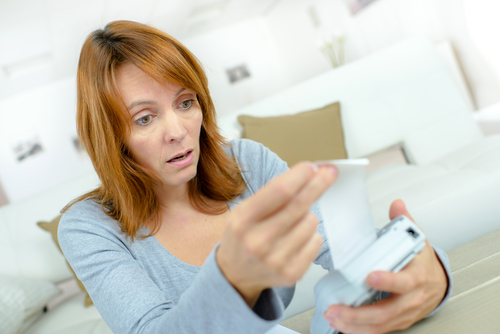 There are a number of reasons why you are in debt but one of the biggest factors can be attributed to bad spending habits. The way you spend your income affects how much you have left at the end of the day. It does not matter whether you are taking home a six-figure paycheck every month or even if you have a lucrative side gig – the way you spend your money will dictate whether you are able to optimize your money or not. If you spend more than what you earn, you will always be in debt. There is no way around it and you are just slowly digging your own financial grave. As you expenses overpower your income, you are putting yourself in a disadvantage and pushing your goals in life further from you. The longer you stay in that tailspin, the harder it will be to pull back up and get on the positive side of your finances. This is just one of the many reasons why you need to address bad spending habits as soon as you notice them in your finances. The faster you act on them, the higher your chances of breaking free sooner. If you are looking for ways to break away from misguided spending habits, here are a few of the things you can do to help address your spending issues. One of the most effective steps you can take in fixing your spending habits is to remind yourself why you need to do it in the first place. You need to have the will to want to change so it is a good idea to identify the reasons why you need to. There is a good chance that you will not run out of reasons why you need to change for the better. This is important especially as USA Today shares that Americans do not really have the best financial habits. One of these could be your family or the people you love. You might want to change to give them a better a life. It could also be your long and short-term goals in life. How badly do you want to pay off that loan or how fast do you intend to set up that business idea that you have? These goals in life can make you change and even break bad spending habits. If you do not have one, it is high time that you create one. A household budget is one of the most important financial tools you will have at your disposal. It gives you an overview of your financial performance and more importantly, gives you an idea of how your income fares up against your monthly expenses. This is important because you can easily verify if your spending is way off. If your expenses total to a lot more than what you are bringing in every month, you need to start making changes. Your budget will not only alert you if your spending is way off, but it can also put you back on track. Budgeting means making sure you balance your income and expenses but you have to follow it as well. Remember that your budget will only be effective in helping you break bad spending habits if you use it. In a consumer-driven economy, it is almost next to impossible not to spend. In fact, the more people purchase items and goods, the stronger the economy is. This simply goes to prove that spending money on purchasing items you need is a normal activity. However, it does not mean that you cannot put in safeguards to help you spend more wisely. One of the things you can do to help you spend money better is practice due diligence before shopping. If you already know what you want, try and shop around for the best price before buying an item. Canvass prices from different physical and even online stores to know which one is selling at the lowest price. You might even save more when you make an online purchase since you no longer have to go to a physical store to buy one. This way, you save time, gas money, and even parking fee when you shop online. One of the reasons why you have bad spending habits is because you do not know and cannot control your spending triggers. These are oftentimes an unconscious trigger that makes you want to spend and buy a specific item. The first thing you need to do is identify what these triggers are in your life so you know how to move forward. It can be the smell of fresh bread on your way home or that big “Sale” sign in front of your favorite clothing store. You might notice that you tend to shop right away when you receive an alert from online shopping sites. Once you identify these triggers, you need to find a way to avoid them to make you stop spending mindlessly. Try to look for another route in your daily routine so you do not pass by that bread shop or even your favorite clothing store. You can also choose to opt-out of email alerts from online shopping sites so you are not alerted every time a new item has come. It is also a good idea not to save your credit card details in your gadgets making it a little more challenging to make online purchases. There are times when bad spending habits result from a rebellious streak in you. Just because you missed out buying that shirt you wanted, you end up spending a lot more on shoes just make it up. This is why you need to make sure that you also find the time, as well as funds, to shop and buy the things you need and want. One of the best things you can do is save money for those occasions where you need to buy an item. If you really love shoes, save for what you want to buy so you do not end up depriving yourself. The trick is to save for it so you understand the value of what you are purchasing as well lessen the chances of overspending because you will only use the amount you saved up. If you are married, your spouse is the best accountability partner you can have. For single people, you might have friends who can make sure you keep on working to get better with your finances. They are the ones who know about your struggles and have an idea what you plan to do. With that, they can check up on you from time to time to make sure that you are following through with your plans. It might seem difficult to break bad spending habits but you just need to have a better understanding of your finances. Once you do, you can make the necessary adjustments so you can start breaking your bad habits and working on new and better ones.